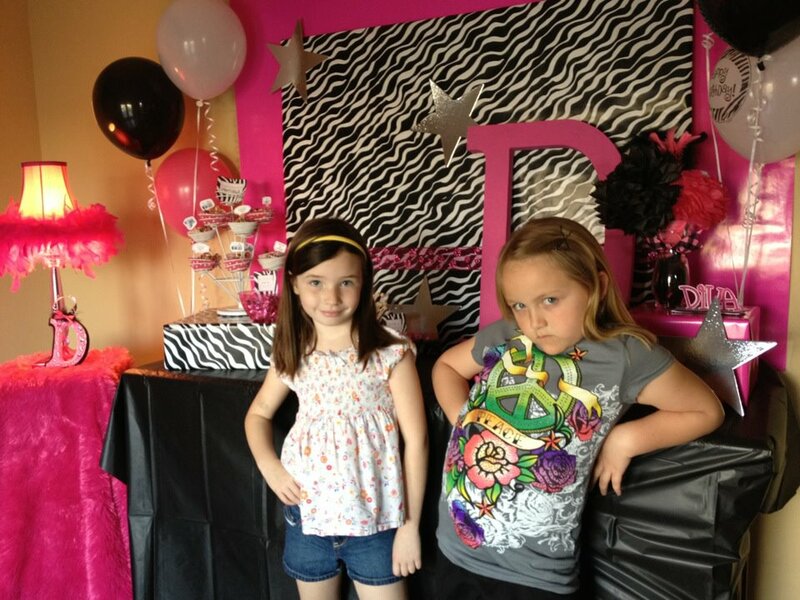 A few shots of a Diva party I helped out with a few months ago. We even made a hot pink "red" carpet on the front porch from 2 yards of fabric, stuck it down with zebra duct tape- it was adorable. 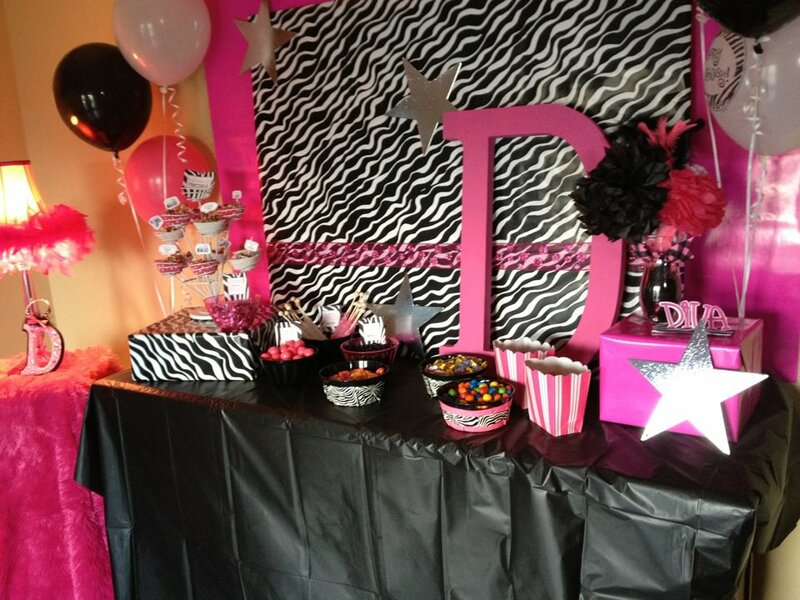 This theme was so much fun. 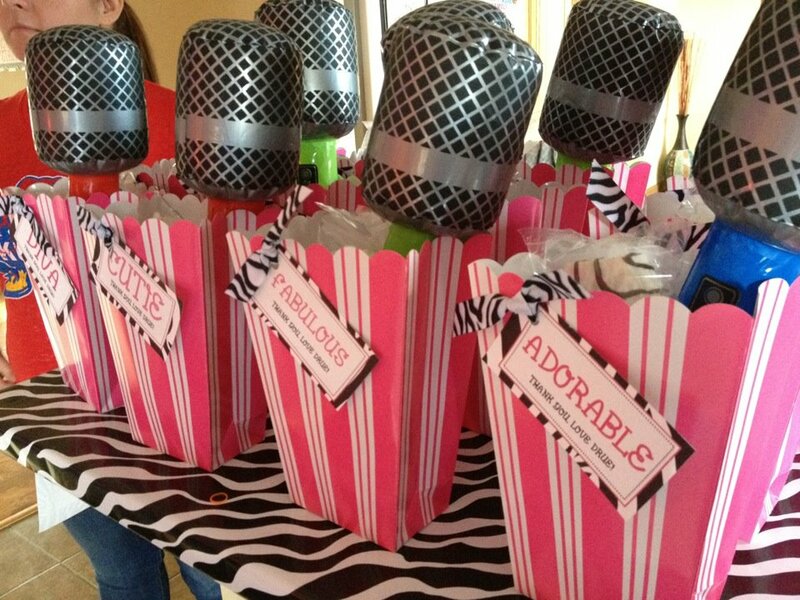 Favor Boxes- filled with inflatable microphones, colored hair extensions, fingernail polish, tatoos and zebra cakes! 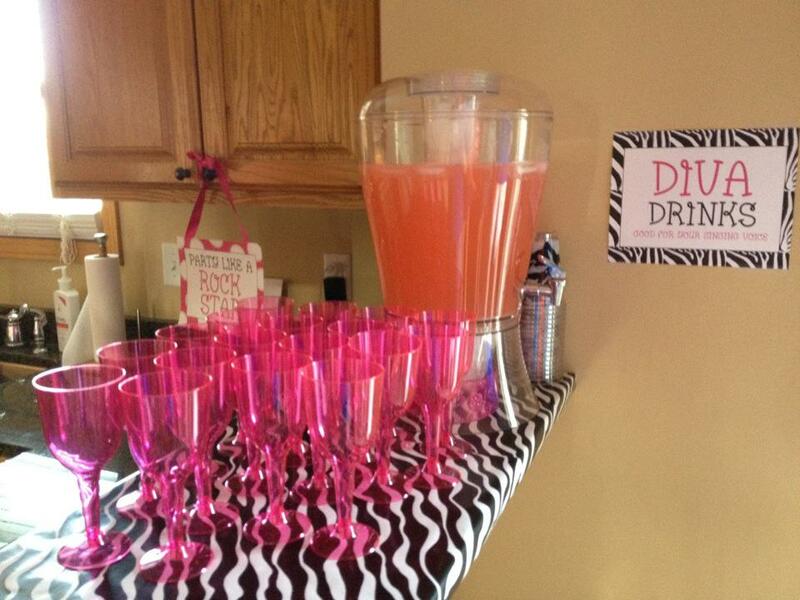 Pink Wine glasses- completely impracticable but hard to pass up!